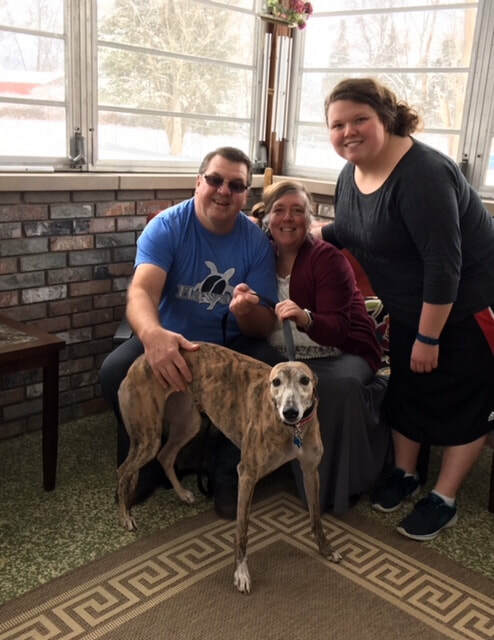 CG's Ziva is home with Gordon, JoAnn and Makala in Cincinnati. She walked all around her forever home exploring and checking out the place, gave her approval when she greeted Gordon with a big kiss and tried desperately to get into his lap. She knew she was HOME! She now has a huge yard to call her own and several new toys to learn to play with. She is going to be a very happy girl getting all the love and attention she deserves.